Rolf Suey - Better Late Than Never: Good Bye 2015, Hello 2016! Today is the first day of 2016. Happy New Year everyone! In 2014, my year was wrapped up with our godsend newborn. In 2015, the year ended with a family vacation in Hua Hin, where me and my siblings witnessed a very Happy Mum. Both years ended great and no complains whatsoever from me! The final moments of 2015 for me were spent in a movie theatre last night watching "Yip Man 3" - just me and wife spending time romantically together. Thumbs up for the show and for the last night in 2015! Now let's recap 2015 as follows. STI down 14.5% from 3370.59 at the start of the year to 2882.73 as of 31 Dec 2015. My health in 2015 is reasonably ok, although nothing to shout about and definitely not as good as 2014. This can be attributed to the increase in workload resulted from acquisition of the company I worked in. Gastric attacks are more often this year, but I picked up Meditation and it provides great relief to the pain I suffered. My discipline in regular exercise and strict diet control also mean my weight hover healthily at 76-77 Kg range. Standing at 1.78m tall, my BMI is in the normal range of 24. I was recommended “Burst Training” by a friend and this can possibly be one reason why I did not put on extra weight. I still smoke socially which is bad, but no longer a regular smoker. The most important thing of all is my entire family members have been blessed with good health in 2015. No newly added hobby in 2015 to the existing ones - Gym, Jogging, Swimming, Reading and Blogging. The rate of squabbles with wife increased this year, likely due to a more busy 2015 resulting from hectic work and an additional little one in the house. That said, overall relationship with family are good for the year. The same good relationships apply to relatives, friends and colleagues in 2015. The year-end holiday trip in Hua Hin can take some credit for the strengthened family and relatives’ relationships. TOTAL INCOME from grew 11.2% in 2015 yoy. This is due to greater bonuses in salary as well as my newfound income stream of writing free-lance O&G articles, and baby bonus due to my newborn girl. TOTAL EXPENSES grew in tandem with income albeit at a slower rate of 5.7%. This is mainly because of our newborn incurring higher household expenses as well as more new household appliance/furniture replacements. I also spent more on personal expenses for birthdays and weddings. In particular, the bulk of this category of expenses comes from my mum’s birthday party and my present for her. Annual expenses increase the most because this includes more vacation expenses in 2015 compared to the year before. In 2014, my wife was pregnant, hence we spent significantly lesser on vacation. The higher vacation spending in 2015 is offset by lesser income tax incurred due to the rebate from our newborn and also lesser children expenses in 2015 due the one time hospital fees incurred for our newborn in 2014. NET CASH FLOW increases a respectable 18.4% due to higher total income. MY STOCK PORTFOLIO fell, just like STI and most indices in the world which are not performing well in 2015. It is down 17% from my original cost of stock investment. Nonetheless, the decline is only approx. 5% of my entire portfolio of cash, stocks and bonds. The greatest decline is dominated from my holdings in Oil and Gas stocks. Despite the dampened stock performance, I am delighted to have >60% cash in my overall portfolio of stock, cash and bonds. The downside is "cash is rotting"! Dividend returns stay relatively consistent yoy. NET ASSET VALUE rises 14.5% due to sustainable income intake and also because debts are pare down as I continue to pay down my mortgage loan without taking on additional loan. On the last day of 2014, I wrote that I wanted to continue to go against my comfort zone in 2015. Refer here. I reckon I did it well in 2015, assimilating into a new company culture rather easily, started writing professionally, taking up Meditation and “Burst Training” and finally our youngest member successfully grown up healthily pass her one year of age. And in the process, bring more joy to my life. H2F3 - "Health, Hobbies, Family, Friends, Finance"
It is going to be the same H2F3 plan, going into 2016, but better and improving each year. It will be the usual objectives of good health and hobbies to balance the hectic of work; continue growing my stock portfolio; spend time with family; and continue to keep in touch with friends and relatives etc. For career, given the current challenging landscape in my industry, my biggest target in 2016 is simple: keep my current job and continue to have sustainable income. In fact, I had earlier proposed to our top management some changes related to the businesses in Asia Pacific. For that, I will start working on a business plan immediately this month. I hope in 2016, my proposed business plan can be executed successfully for the Asia office to embark into a new journey of growth. I will continue to read extensively, and write more articles to expand my blog library for my children in future. This is also for readers who find it useful for their personal development/evolvement. I will like to end this post, but start the year with the focus of building strong and quality relationships with people around me. 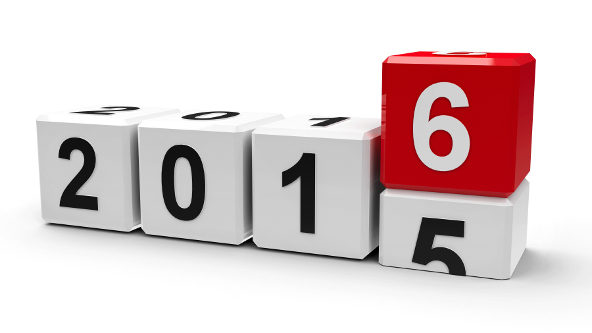 I wish everyone the Best of Health, Relationships & Wealth in 2016. Best of health too Rolf! Thanks. Abundance of Health and Wealth to you and your family as well. I recommend you to read an old book - "men are from mars, women are from venus", this will help you to understand and communicate better with your partner:) hope it helps! Thanks for the recommendation. My wife bought that book long long time ago and asked me to read. While bickerings in a relationship is common, it definitely helps if it can be improved via better understanding of each other. Thanks once again and wish you HNY2016. Our child both passed 1 year old recently! Quite fascinating to learn from their behaviours. haha. Can tell both of us were having a hectic lifestyle in year 2015. Should wise up on more time management in year 2016. What you have shared, i feel you. Investment, health, family, career. Love your part on your extra income from O&G writing. Thumb Up. It is a blessing to see our child growing up healthily. Frankly me and my wife were guilty to spend comparatively lesser time on the younger one, than her older siblings back then. I wish you all the best in 2016 and yes more time...more time... more time! Not to be the slaves of work! Wishes you have a great 2016 ahead! Hi David, thanks and likewise to u! Thanks for commenting first time. Frankly, it's more for survival in the current depressed environment. Ultimately, I prefer to propose a biz plan for my own company. That said, this can be a good practice. I am sure ur time ll come if u stay proactive n always provides ideas. Wish u all the best!